Welcome to California Window Fashions. As a local, family-owned business, we are proud to offer you gorgeous Hunter Douglas window treatments right in your community. Thank you for visiting our digital showroom. Over 17 years ago, we started this company with the same goals we have today. A customized experience, with excellent service, high quality products and expert advice. Our passion for design and high quality delivery is set upon each and every interaction, with the intention to help you transform your home with the ideal atmosphere, style and function. Your home is unique, and so is your style. We’ll guide you through every step of the way, with the design, function and lifestyle features you need to create just the right look and feel for your home. Our professional installers will ensure that your Hunter Douglas window treatments are properly installed, and show you how to get the most out of them. We’ll keep in touch to make sure you are completely happy. Your satisfaction is our guarantee. No matter what your project may be, our family is ready to help you design. Let’s get started. Custom interior design and window treatment business in continuous operation since 1988. Free estimates, design services. Hunter Douglas window coverings, Graber window coverings, custom drapery panels, cornices, top treatments, roman shades, custom bedding, custom window seat cushions, curtains, flooring, paint consults, surfaces, furniture My mother and grandmother used to have an in home drapery workroom while growing up, I have been around fabrics and window coverings my entire life. Passionate about interior design, fabrics, home decor accessories. *Hunter Douglas Authorized Dealer* With years of experience and exceptional service, it's no wonder the Blind Spot has great employees. At Blind Spot Blinds & Shutters, we pride ourselves on our integrity and quality, so you can feel confident with our team and be proud to know who the people you are giving your business to are. Our design consultants are certified and expertly trained on all of the elements of Hunter Douglas window fashions. We measure your windows, design, and install your window treatments all under one roof! We believe it is important to have a spot for our clients to come and explore all the amazing window treatment options available, from PowerView motorized shades to the simplest cordless blind. Our beautiful showroom provides experienced staff and full size displays of the most current Hunter Douglas window fashions, allowing you to see, touch and operate our different shades, sheers, blinds and shutters. We encourage a visit to our showroom as the first step in your window shopping process. Come visit us today! Sunburst Shutters & Window Fashions is the leader in custom window treatments in Sacramento and surrounding areas. We’ve been providing custom window treatments for nearly 40 years and have served tens of thousands of customers. Sunburst’s goal is to offer the best products and service. We take care of our customers and do everything we can to ensure your total satisfaction. Our product line includes top of the line products including our patented Polywood shutters, Ovation wood shutters, reclaimed wood shutters, sliding barn doors, window film, and a wide variety of blinds & shades. Sunburst provides a variety of choices to help you control light, temperature, noise and privacy, while looking beautiful. Give your windows the treatment they deserve, with Sunburst Shutters & Window Fashions. *Hunter Douglas Authorized Dealer* At L Decor Interiors, we serve El Dorado Hills and surrounding areas with high quality window treatments and a variety of interior design services. With clients throughout El Dorado Hills, Folsom, Granite Bay, Cameron Park, Shingle Springs, Placerville, Rescue, Orangevale and Carmichael, CA, we offer only the highest quality products combined with ongoing meticulous customer service. With years of experience in the window treatment and design industries, owner Leslie Cole, helps clients select the perfect window treatment solution based on their style preferences, functional needs, and budget requirements. L Décor Interiors offers flooring options, paint color selection, custom bedding, custom draperies, furniture, Tableaux faux iron and veneer, lighting and upholstery, as well as a wide range of design accessories to complete each design project. Interior Design - Specializing in Hunter Douglas window fashions, Custom Draperies, Cornices and Valances, Tableaux Faux Iron, Design Consultation, Paint Color Selection, Lighting, Furniture, Rugs and Accessories. A Hunter Douglas ALUSTRA line dealer! ON SALE NOW! *Save BIG on all Eclipse Vinyl-Bilt Plantation Shutters! The more windows you have, the more money you save! PLUS get a Free 'Handy' Gift for scheduling an appointment for a free quote during the *Spring '19 Big Promo Event! 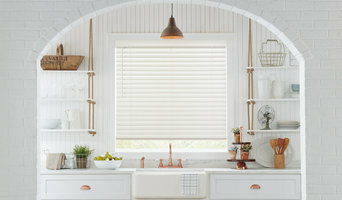 Save on Vinyl-Bilt Plantation Shutters, Cellular Shades & Faux Wood Blinds purchased during the Spring '19 BIG Promo event! (Apr 4th- May 20th 2019). -Get a 3.5" Eclipse Vinyl Shutter with hidden tilt for less than $23.00 per S.F. Installed! -Get a Cordless 2.5" Smart Privacy Faux Wood Blind for less than $160.00! -Get a 5'X5" Double 3/4" Norman Portraits Bottom up Cellular Shade for less than $290.00! -Get a 5'X5" Double 3/4" Norman Portraits Top Down Bottom Up Room Darkening Cellular Shade and pay less than $390.00! Contact us Today! *(All Contracts and deposits must be completed no later than 5/20/19 to qualify for Spring '19 Big Promo pricing. Minimum purchase; 3 windows with certain size restrictions required. All taxes and installation labor included in Spring '19 Big Promo Event pricing). I am passionate about design and the profound impact it makes on the look and feel of a space. I love seeing my clients’ faces light up when their homes are transformed with a few thoughtful design choices. With ten years of experience, including running my own design firm, I bring extensive knowledge to every project I take on. I work hard to serve the functional and aesthetic needs of my clients by listening closely to their design aspirations and observing their unique decorating choices, whether it’s a color palette they gravitate toward or a beloved art piece that might set the tone for a room. My passion for infusing rooms with texture, color and line led to my working as a In-Home Designer for Smith & Noble. I love completing the room with beautiful and functional window treatments. Local Family Owned and operated business Made in the Shade Blinds & More offers the best window covering products in the industry with exceptional service and affordable prices. Our advantage is that we bring the showroom to you with our shop-at-home convenience. We offer name brand Window Treatment Companies such as: Norman, Hunter Douglas, Graber, Alta, Horizons, ShutterSmart, Spring Window Fashions and many more. At Made in the Shade, our personalized service includes a complimentary consultation, complete with free measuring and a free estimate. This service allows you to see various window coverings in your own environment, enabling you to see how light, room colors and furnishings affect your options and choices. Cut-yardage is the largest independent workroom in Northern California with over 20 years in the fabrication business for home interiors. FREE In-Home Design Consultation - The design possibilities are endless! Cut-yardage design professionals will come to you and help design your dreams into reality. We will work through our extensive fabric collections to find perfect colors and assist you in bringing your room together. The service is free and the results are priceless. All orders completed onsite in our 8000sf workroom. Visit our showroom/workroom and see all styles of window treatments, cushions, pillows, bedding, upholstery, and headboards on display. Located in Sacramento, CA. *Hunter Douglas Authorized Dealer* West Window Fashions is your local resource for all of your Window Covering needs, specializing in Hunter Douglas window fashions.We have been operating out of Folsom since 2013, with over 16 years of Window Covering experience. Our distinctive services include professional measuring, experienced installation and stylish design advice, all provided with a local flair since we're independently owned and operated. Whether your priority is energy efficiency, privacy or room darkening, ease of use or child and pet safety, you can count on the design team at West Window Fashions. Contact us today to get started on your next project! *Hunter Douglas Authorized Dealer* Michelle Eaton, ASID, is an award winning interior designer specializing in custom window coverings, draperies, and bedding for over 30 years. In addition to her love of color and fabrics Michelle does residential redesigns and remodels for busy professionals. 2018 Award To define a Signature style for each Client, Michelle begins with a careful assessment of her Client's lifestyle and personal aspirations. She adds to the mix her winning team of the areas foremost craftsmen including custom upholsterer, custom sewing workroom, wallpaper & flooring installers, cabinet makers, lighting designers, muralists, tile and stone professionals and a team of designers. Passed down from father to son, 42 years of experience has manifested itself into a company called the Drapery Guys. From residential to multi-housing units to hotels, the Drapery Guys have the experience in all types of window coverings. Quality of installation and customer satisfaction has always been the primary objective and a way for our company to continue to expand and grow. 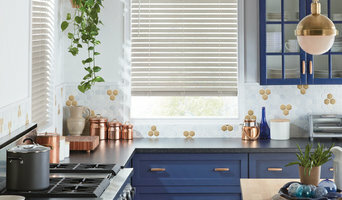 If you're in the market for draperies, blinds, shades, or shutters, we can help. Let us know, we're here for you. 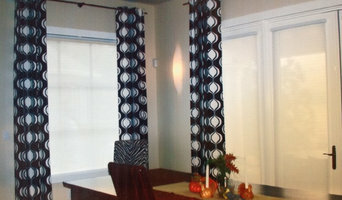 Welcome to 3 Blind Brothers, your one-stop source for all your window covering design needs. Serving Sacramento and the surrounding area for over 20 years. We carry a wide variety of Hunter Douglas window coverings, including customer favorites like Duette® Honeycomb Shades, Silhouette® Window Shadings, Luminette® Privacy Sheers, wood blinds, shades, and more. 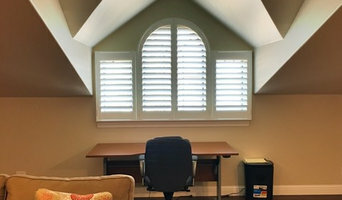 We also specialize in Palm Beach vinyl shutters and New Style hybrid shutters sales, design and installation. Choosing the right window solution can be daunting. Our experienced design professionals will work with you to find a solution that looks great and provides the privacy and light control you need, all within your budget. Our Hunter Douglas Mobile Showroom Comes to YOU! conveniently quoted right in your home or business, for free! We also offer blinds cleaning and repair, window cleaning, and gutter cleaning services. . Since we're locally owned and operated, we take our long-term commitment to the community seriously, and we are proud of the professional products and services we provide. As the owners, salespeople, installers, and repair artists (that's d'Art), no one will care more about the work that's done in your home than us! We are here now - and we'll be here in the future when you need us again. Call on us for your next design project! Provider of custom window coverings, specializing in automation and home integration - We offer Roller, Woven and Roman Shades, Drapery and so much more! I own and operate every aspect of my business and have been serving the Sacramento community since 1982. I specialize in custom designs & installation for new homes and offer a wide variety of services. In working with me you will have access to 30 years of experience, unique designs and a personalized approach. I look forward to meeting you soon.